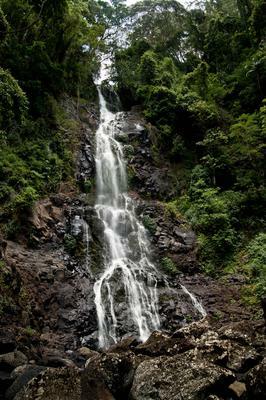 I have just stumbled across this site and as an avid waterfall watcher found it interesting. Now here is one that is hard to find and hard to get to but worth the effort. Eden Creek Falls in the Toonumbar National Park in Northern NSW. National Parks no longer maintain the track down to Eden Creek although I did put new markers in a couple of years ago. When you get to the creek you have to walk upstream to get a good look at the falls. This usually means a bit of paddling. The nearest town is Kyogle but there is camping a short distance away from the falls.